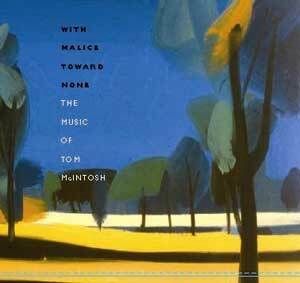 NEA Jazz Master Tom McIntosh is a composer and arranger whose unique style made him a favorite of Dizzy Gillespie, James Moody, Milt Jackson, Tommy Flanagan and other jazz giants, who featured his work on some of their best recordings. "Mac" hails from Baltimore and attended Juilliard after he got out of the army in the 1950s. 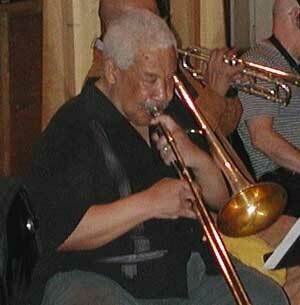 Following Juilliard, he became an active part of the New York jazz scene as a trombone player and writer. He was a member of the famous Jazztet organized by Benny Golson and Art Farmer, and was one of the founders of the New York Jazz Sextet, through which traveled many outstanding NY-based instrumentalists of the 1950's and '60's, including Thad Jones, Art Farmer, James Moody, Tommy Flanagan, Roland Hanna, Richard Davis and others. He goes way back with Moody, having played and written for Moody's bands in the 1950's, and provided arrangements for some of Moody's best recordings in the 1960's. He also wrote for Milt Jackson, including his "Hip String Quartet" album, and Dizzy Gillespie, who featured his tunes on his "Something Old - Something New" recording and hired Mac to orchestrate his compositions. Mac was an original member of the Thad Jones - Mel Lewis Orchestra and was featured as a performer and a composer and arranger. He was also much admired by Tommy Flanagan, who routinely showcased Mac's tunes (for example, on his "Sunset and the Mockingbird" recording), and often referred to Mac as his favorite composer. When jazz fell into one of its recurrent recessions at the end on the 1960's, Mac was lured to Hollywood to put together the music for two Gordon Parks' films, “The Learning Tree” and “Shaft,” and he stayed there for the next two decades as a music director for films and TV. Finally tiring of Hollywood, Mac returned to the East Coast in the 1990's, teaching at conservatories in New York and Boston and continuing to write original and beautiful music.